Alaedin Christopher Behbehani was baptized a Catholic at the Easter Vigil! He is prictured here in his baptismal gown with Fr. Healey and his sponsors, Ron and MaryAnne Weaver. Susan Elizabeth Ann Seton Healey (pictured on left) was received into the Catholic Church at the Easter Vigil. She is pictured with her brother-in-law, Fr. Healey and her sister-in-law, Janice Healey. 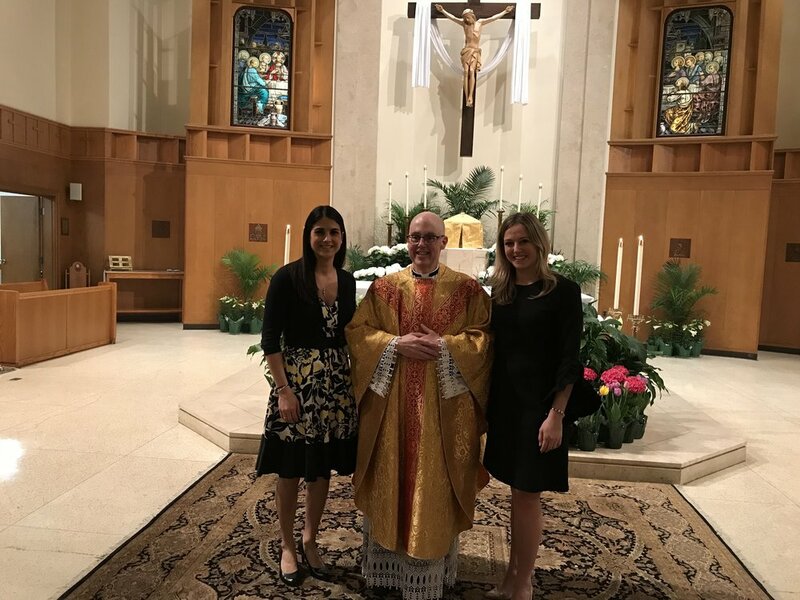 On Saturday, March 31, 2018 at the Easter Vigil at Our Lady of Mercy Church, Father Bernard A. Healey, Pastor of OLM, baptized one adult into the Catholic Faith, received one non-Catholic adult into the Catholic Church and Confirmed several adults. We congradulate our newly intiated and offer our prayers and support as they come into the fullness of hte faith! 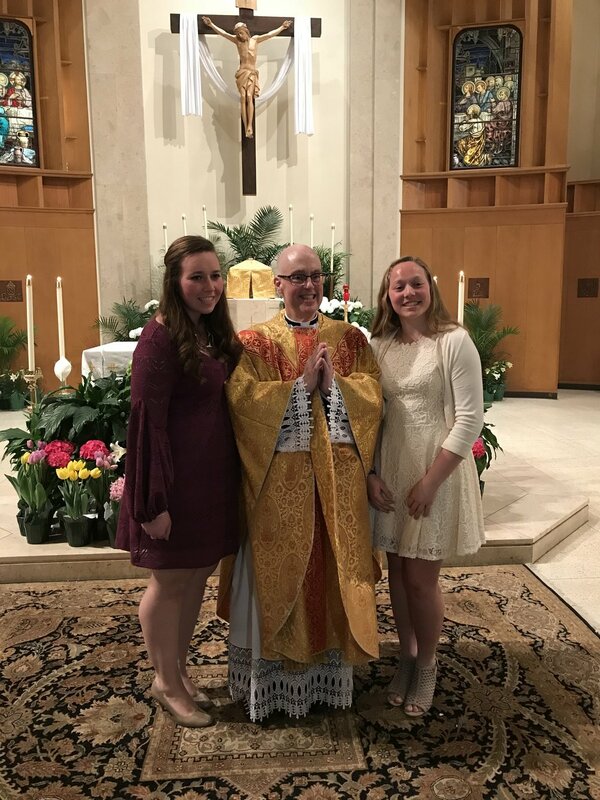 Newly confirmed (on the right) Grace Sarah Dobrzyski is pictured with her sponsor and Fr. Healey. Haley Anne Pinheiro was confirmed at the Easter Vigil. She is pictured here with Fr. Healey and her sponsor.